Albania shares the same coastline as southern Italy, Croatia, and Greece, but it has fewer tourists and resorts than any of them. In Albania, it’s still possible to find affordable apartments a stone’s throw from a clear tropical-looking sea, and relax on tranquil beaches. The Albanian Riviera lies in the southwest of the country. The Riviera has miles of white sand beaches, with a backdrop of mountains. 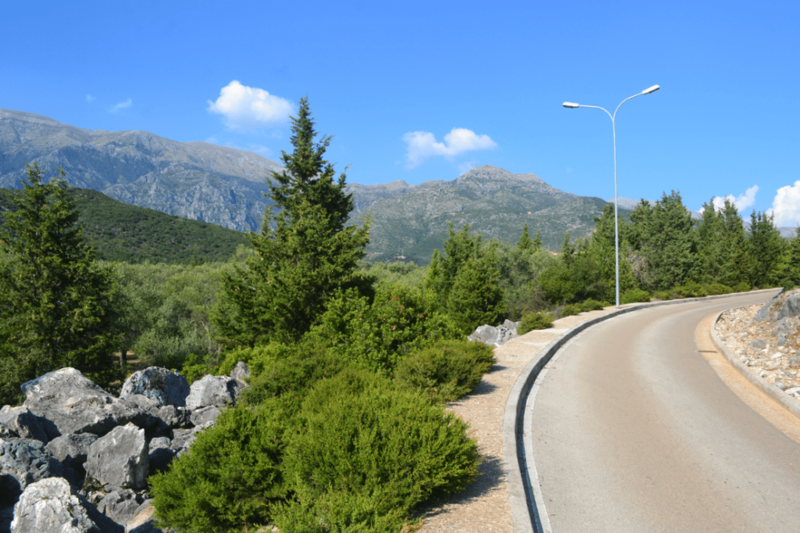 A road runs alongside the coastline here, with beautiful views out over the Ionian Sea. Albania is relatively unknown to western travelers, and there’s a sense of pioneering in traveling here. The flight time from London to Albania is the same as to Spain or Portugal, yet going to Albania you feel like you’re traveling much further away. Life in many villages follows traditional patterns, and in rural areas the development of the twentieth and twenty-first centuries has passed by without leaving much of a trace. The Communist era of Albania’s recent past can be seen in the larger towns like Saranda, but even here the tower blocks are painted in attractive pastel colors and the whole scene is bathed in intense sunlight. The Albanian Riviera is most easily reached from Greece, by ferry from Corfu. The Riviera takes longer to get to from Tirana but it’s certainly feasible if you want to combine seeing Albania’s beaches with a trip to the capital. The international airport in Corfu has many budget flights connecting it to the rest of Europe. 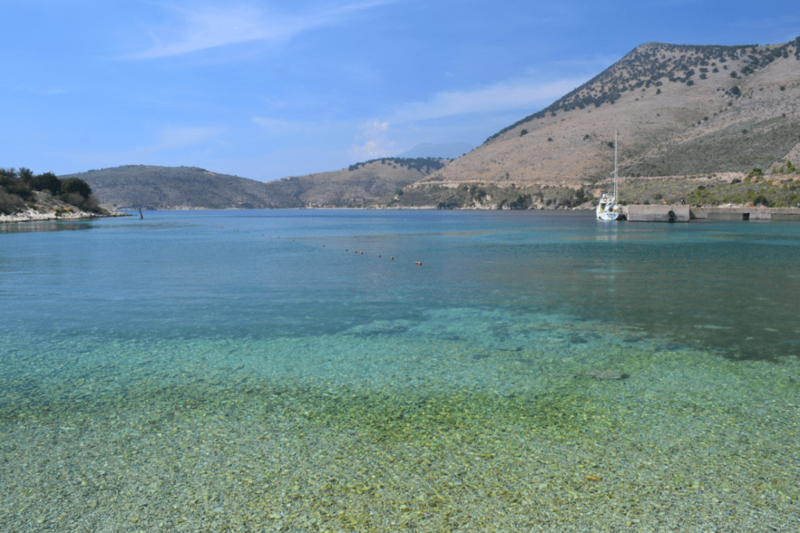 Taking this route, you arrive in Saranda, the port town of Albania’s southern coast. From Saranda you can move onward south, north or east to explore the rest of the Albanian Riviera. To the south lies Ksamil, a town in Butrint National Park, with several white sand beaches easily accessible from the town center. Offshore there are small islands, and the sea is a delightful tropical green in the shallows. Butrint National Park, surrounding Ksamil, is home to remarkable Roman ruins including a well-preserved amphitheater. Ksamil lies on a peninsula, with the Ionian Sea to the west and a large sea lagoon to the east. 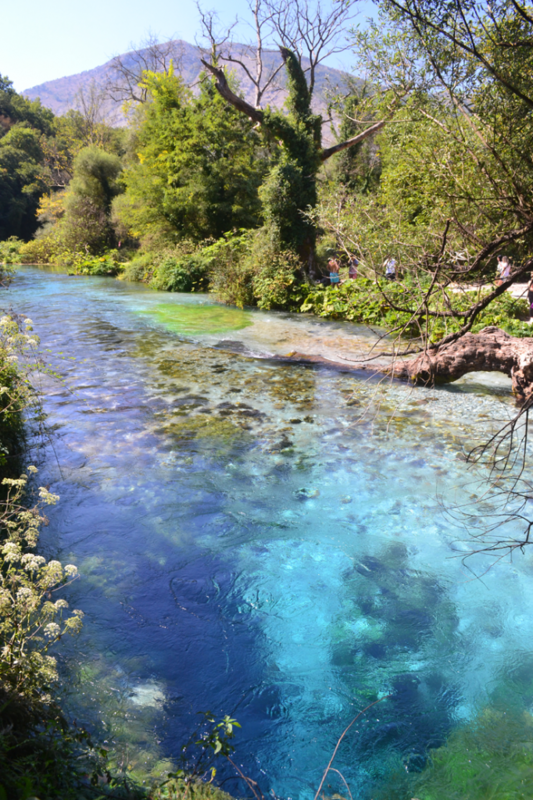 Due east from Saranda lies the Blue Eye, a natural spring that’s unlike anywhere else on earth. More than 50 meters deep and uncharted territory, the Blue Eye is a window down into the unknown fathoms of the source of a local river. The Blue Eye spring is situated in a national park that was only opened up to the public in 1996, after the fall of Albania’s Communist regime. 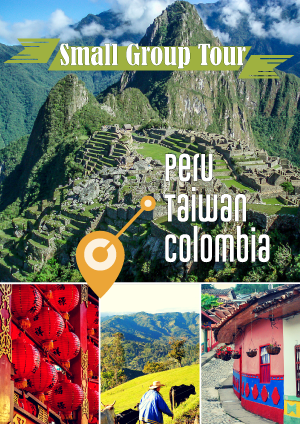 Previously it was the preserve of political officials and local people had no access to this amazing natural phenomenon. The Blue Eye is the only place I visited in Albania that is definitely on the tourist trail and frequented by coach groups. Because of the small size of the Blue Eye – the “pupil” is only a couple of meters across – it can feel crowded around the natural spring. To the north of Saranda lies the true Riviera and the coast road, which winds through beautiful scenery and up and down mountains. Driving along here you’ll pass through picturesque coastal villages like Vuno, where donkeys are still used to carry firewood, and the road becomes too narrow for more than one car. At Porto Palermo a fortress stands on an island, reached by a causeway. The surrounding sea is perfectly calm, still and blue, within a sheltered bay. Viewpoints from the coast road offer stunning panoramas and we found ourselves having to stop time and time again to take in the scenery. The beaches of Jala and Gjipe are quiet, beautiful and remote. Development is coming to the Albanian Riviera, but it’s still very low key compared to the scene in neighboring countries. 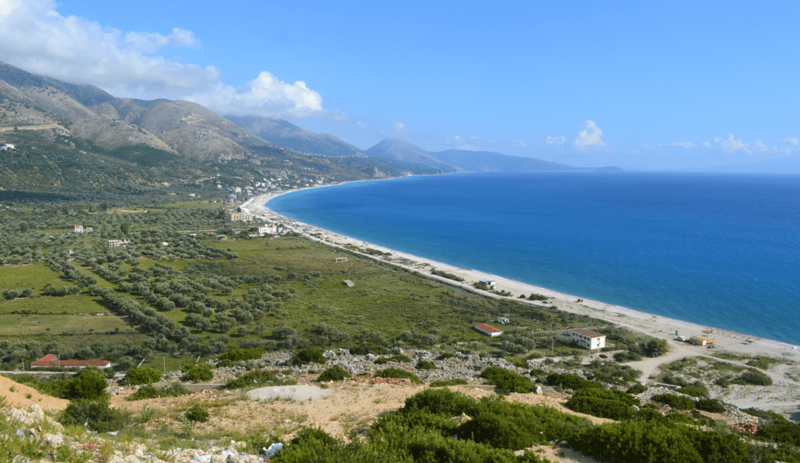 Himara makes a good base for exploring the northern coast. Thanks to its resident Greek minority, Himara has several tavernas serving delicious traditional Greek food. 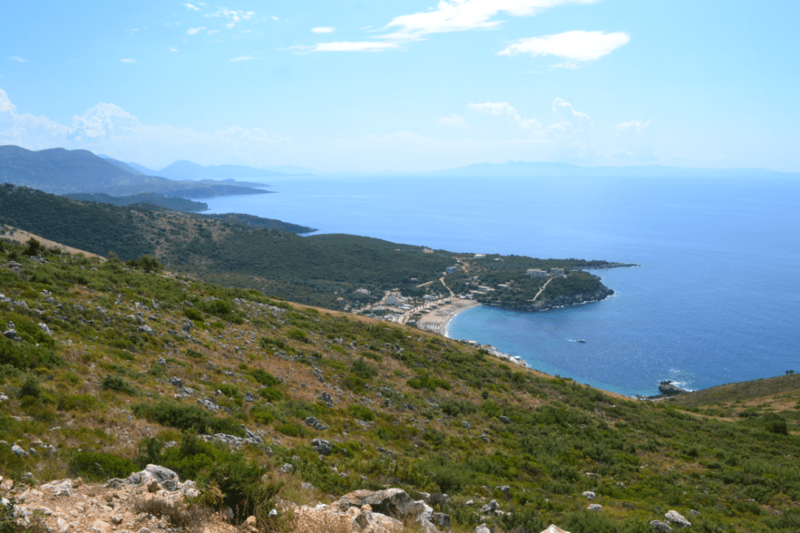 The Albanian Riviera is stunningly beautiful, undeveloped and uncrowded. It has affordable accommodation so you can enjoy being close to an amazing beach, without the usual price tag. 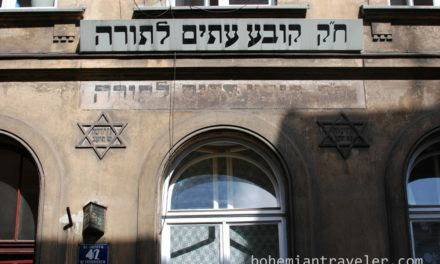 Although public transport connections pose a challenge, the main towns can be reached by bus, hitchhiking is common even among locals, and cars can be hired at reasonable rates. Albania also boasts friendly, kind people, a delicious food culture, wonderful climate and amazing landscape. For adventurous independent travelers, the time to visit Albania is now, while it’s still an off-the-beaten-path destination. In time it is sure to become an established tourist location with higher prices and more crowds, like Croatia before it. But for now, those who explore Albania can continue to feel like pioneers discovering a rare gem on the Mediterranean coast, one with easy access to the rest of Europe, a lack of tourists, and incredible natural beauty.